Tokyo Verdy was founded as a club team in 1969 with the aim of being the first Japanese professional soccer team. We'll present the progress of the club from then on. 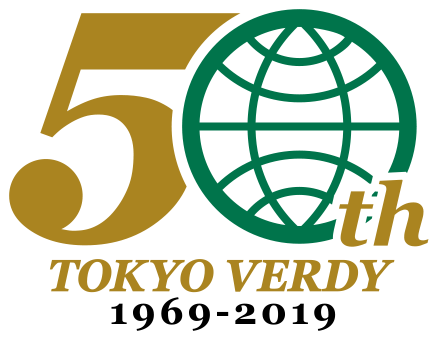 Verdy appeared as Japan's first "club team" with the aim of being professional in 1969, when Japan's top league was still content with being at the amateur sports level. It's said that the offensive style, backed by a technique with a polished sense of high professionalism from all the members, had an astonishing impact on Japanese soccer at the time. Together with its steady advance without remaining in the same place, it changed the style of Japanese soccer. Verdy also quickly implemented the enhancement of the infrastructure currently stipulated by the J League, and activities rooted in the local region. With that and their dislike of falling behind, they have offered up a golden record of soccer innovation (reformers), persisting with a unique style which is sometimes said to be maverick. Founding of “Yomiuri Soccer Club”. Completed construction of four natural soccer pitches at Yomiuri Land. Completed construction of four natural soccer pitches at Yomiuri Land. Affiliated with Division 2 of the Japan Soccer League, founded in 1972. Experienced dramatic growth after George Yonashiro and Ramos (then Ruy Ramos) join squad. After being perennial contenders for several seasons, achieved promotion to Division 1 in 1978. With support from the J League, overcame danger of financial collapse and began rebuilding under the leadership of Club President Hideyuki Hanyu. After a difficult period in which club suffered lowest ever league finish, recovered in 2017 under new manager Lotina and competed in the J1 promotional playoff.